Besides the convenience, contacts have the added advantage that they need a lower prescription and so need less strength to correct the same condition as glasses do. Eyeglass prescriptions are higher than contact lens prescriptions because contact lenses sit directly on the eye, whereas eyeglasses sit in space in front of the eye. The closer a lens sits to the eye, the less strength is needed to focus light on the retina. This is called the vertex distance. The wide range of products, the different types and different functions that you can find in the field of contact lenses today are varied enough to suit anyone's needs. Advances in the materials and designs used to manufacture contact lenses have made it easier for doctors to choose the lens that will best fit your eye and your condition. If you are considering switching from glasses to lenses for the first time or merely checking out what's new in the world of contact lenses, this text will supply a lot of the information you need to understand what to buy, how to maintain it and the other necessary steps to take. People often find some newer options are more comfortable than their old lenses. We will break down the different categories of contact lenses, how they should be worn and cleaned, when they must be removed and what added features there are now in the market. Almost all nearsighted people can wear contact lenses, no matter how high their prescription. 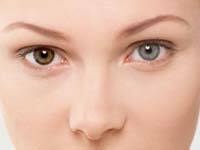 In fact, there are contact lens laboratories that make custom lenses up to -30.00 diopters. They will not ruin your eyes, despite some common misconceptions about contacts, though it is essential to follow your contact lens practitioner's rules. Contact lenses are extremely safe when prescribed and cared for properly. The first thing you must do is to get an appointment with your local ophthalmologist or optometrist, as contact lenses can't be legally sold in the U.S without a legitimate written prescription from your doctor. A second reason for this is that a very small percentage of the population reacts negatively to contacts and an eye doctor must examine you to make sure you aren't part of that percentage. This is something you should be doing every year or so, even without needing prescription eye-glasses, as regular check-ups will notify you to any significant changes in your eyesight. Most people need corrective prescriptions by the time they reach forty, but contact prescriptions should be done separately.